Wil Gets A Sweet YouTuber Surprise Party From Erwan + Co.
Our favorite tsonggo is back and cancer-free! 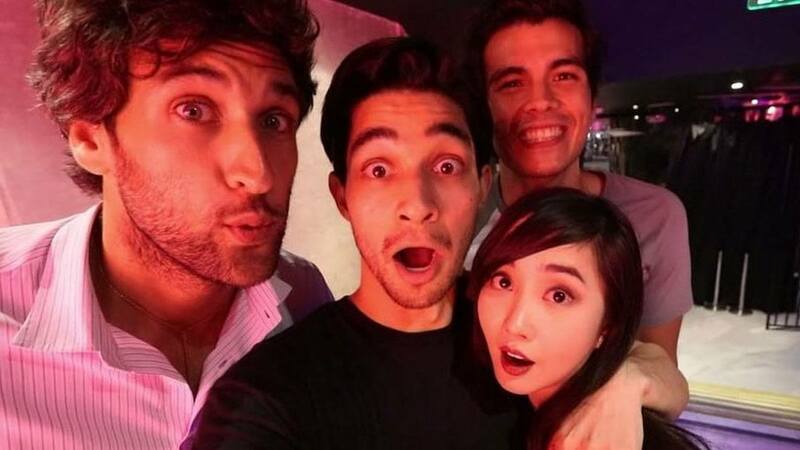 After over six months in the States, vlogger Wil Dasovich finally made his much-awaited return to Manila. What greeted him and his cosplayer girlfriend Alodia Gosiengfiao at the airport was a warm welcome from dozens of their fans. In July 2017, Wil suddenly left his booming career as a YouTuber in the Philippines to seek medical treatment in the US. A month later, the then 25-year-old revealed he was battling stage 3 colon cancer. In February 2018—after over half a year of treatment and a whole lot of prayers—Wil gave his supporters the best news ever: He was cancer-free! Wil's closest content creator friends Erwan Heussaff and Jako De Leon made sure to make Wil's return a success by organizing a sweet welcome party for him. And since most, if not all, of Wil's friends are vloggers, he stitched up a heartwarming video of the surprise. Writing on Instagram, he said, "The most epic surprise party ever courtesy of @jakodeleon and @erwan. I owe you guys too much! Thanks to all of you who came by and joined this amazing celebration. I love you all! So proud of this creator community and how strong this bond has formed. I remember when we first met two years back we dreamed about creating something just like this."